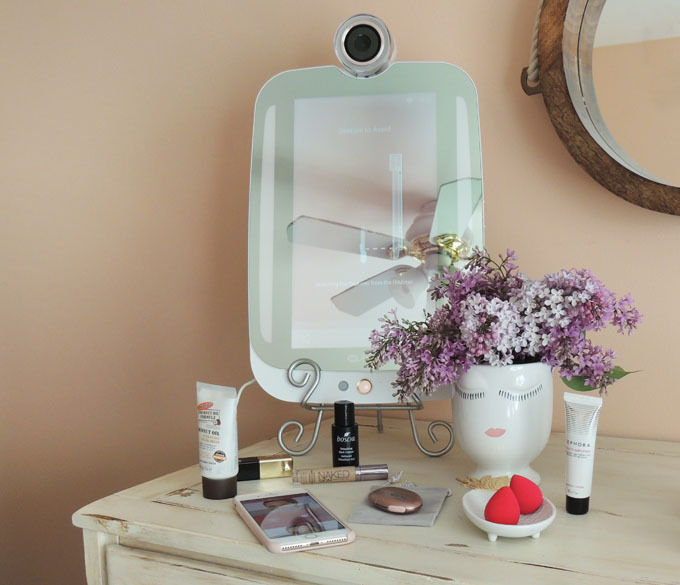 If you haven't heard of the HiMirror yet, it's a two-in-one mirror and a virtual beauty consultant built in one. It has an HD quality camera for images of your face to analyze your skin and help figure out what's best for your skin and what you need to keep your skin glowing and beautiful! You can create a customized beauty routine, access your information/recommended products via the HiMirror app and track your progress. 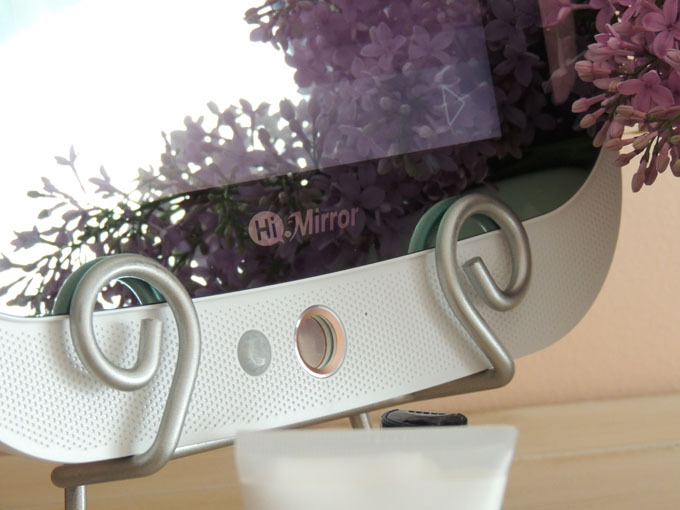 If you want to read more about the HiMirror and what it does, check out my last post about the original HiMirror! The new HiMirror Plus is extremely improved and most importantly, the setup of the HiMirror has been extremely simplified! It also allows for more users' information attached on the device (my sister was extremely excited about this one!) and it can store more photos, meaning more detailed information about your progress. The other extreme, main difference I noticed when setting my new HiMirror up versus the original version is how fast it works and how much quicker it can connect to your WiFi. Overall, it's been a much simpler experience which makes using my own, personal skin consultant even more exciting! You can set up your HiMirror using a QR code now - once you download the app, you can hold the QR code on your phone up to the mirror and it'll recognize the account you made, or connect to your previous account if you had the original HiMirror first. As you likely have seen, I've been talking a lot about how much I'm loving the Clinique BIY Drops and of course, my favorite Clinique moisturizer EVER. I wanted to add the moisturizer to my daily regimine on the HiMirror app, and all I had to do was scan the moisturizer's bar code and it came right up on my app! Now it's included on my app and in my daily routine, which helps the HiMirror more accurately find products that are perfect for my skin. 1. Give the product(s) time: sometimes you can only test a product by using it for an extended period of time. If you're looking for a product to zap a zit, it should work fairly quickly. On the other hand, if you need something to minimize pores or fine lines, give it a few weeks. 2. Rule out anything that hurts: if it's irritating your skin, making your skin red, stinging, etc., it likely DOES NOT mean it's working! I'm guilty of thinking this myself, but certain products aren't for everyone. I have sensitive skin, so I know that harsher products (that are meant to "work faster") aren't usually for me. The HiSkin is another one of the new products from HiMirror. Guys, it's SO cool! It's a super small piece of magic, basically. ;) It defines and detects any problems with your skin and works hand-in-hand with your HiMirror. Using my HiSkin, I found out that my face was 25.7% dry (I about lost my mind, LOL) and began using my moisturizers more frequently and in a matter of a month, it's now down to 13.7% dry which is crazy good in my book for this time of year! 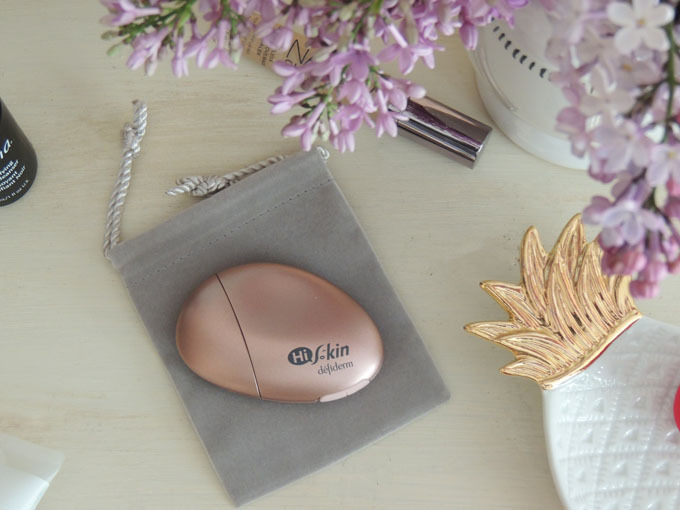 HiSkin tracks your skins progress and analyzes and detects any problems on your forehead, cheeks, eyes and neck. It's genius, fits in the palm of your hand and really makes you feel like you're living in the future! If you haven't tried the HiMirror yet, it's your lucky day because with code 3JBGM, you can get 5% off your HiMirror.com purchase! If you've tried the HiMirror, I'd love to hear what you think about it! It's an incredible and innovative product that has made a huge difference in how I shop for skincare! 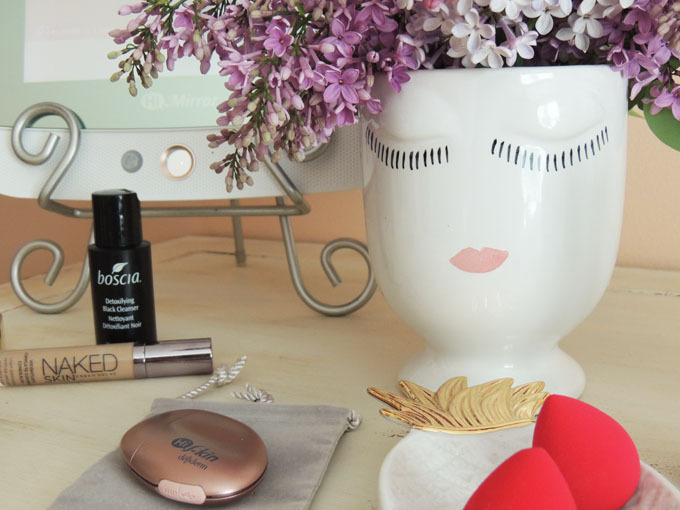 Isn't it the best to find beauty products that fit so well into your routine?! I've never heard of HiMirror before but it sounds so interesting!! And you give great tips about shopping for beauty products. Wow... This looks incredible!! I could definitely use this; my skin changes so much from season to season. Whoa, the hi mirror sounds amazing!!! I've never heard of it. So glad you shared! Okay wow this is so cool! I have never heard of this but it looks amazing. Wow, I never heard of the hi mirror!! Sounds so cool!! This looks like such an awesome product! I love that it really does help identify what's best for your skin. This is so helpful! I'll have to look into it! Wow, what an amazing product! I had no idea something like this even existed -- too cool! These two products seem amazing! How cool and high-tech without being overwhelming! Super cool! 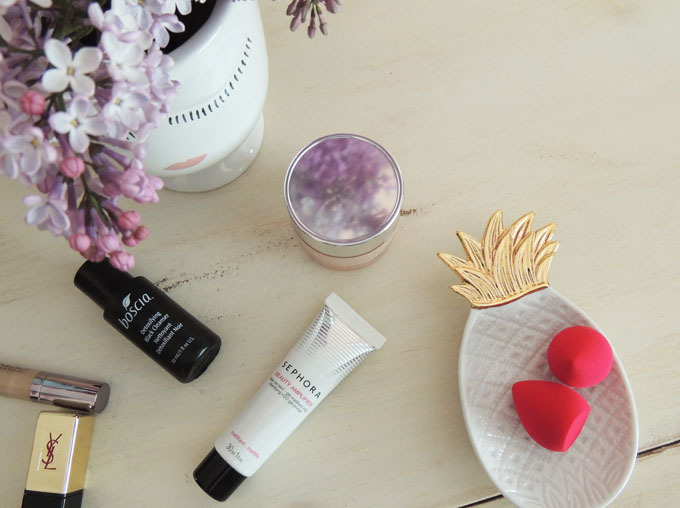 It's not an easy task to do shopping for the beauty products online. While we are shopping online we have to be careful about the products that we are buying. Also, there are many sites available which allows you testing of the products before buying. I've never heard of this before, but I love the idea of using smart tech products to make our lives a little easier! ohhh! this sounds awesome! I'll have to check it out! will need to try these products for sure!! Wow! How have I never heard of this?! Super cool -- thanks for sharing! Whoa this mirror is too cool and thank you so much for sharing these tips girl!! Wow! I'd never heard of this but it sounds amazing. 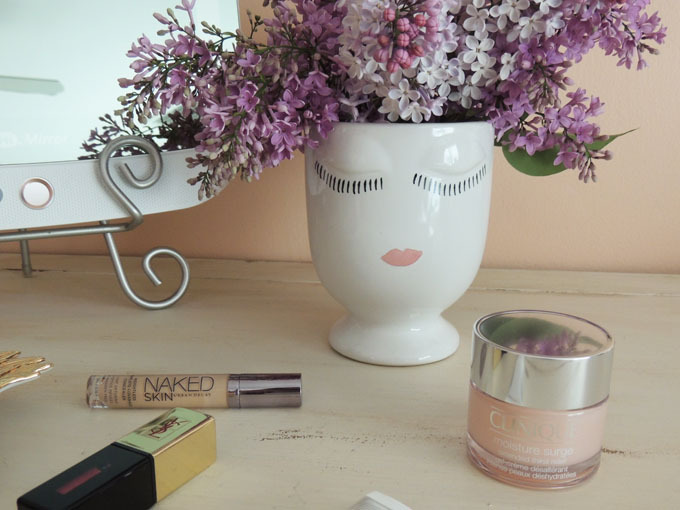 It's great to have something that can make shopping for beauty products (which is a challenge!) easier. I've heard amazing things about HIMirror!! What a seriously cool piece of technology! Whoa that's so cool. I've never even heard of this product. And I agree with you, the number of choices in skincare are overwhelming! This is such a cool idea! It would be so great to have this recommend products rather than try and figure out what to try myself! How cool is this? I think I need it! I just got this mirror too and am having so much fun figuring it out! where did you get that adorable stand for yours??? I need one! never heard of it but it sounds/looks SO DAMN COOL I wanna try!! Never heard of this, but it sounds so cool! This post is mind-blowing! Such a neat beauty tool! What a neat product! And that little hi-skin product, I think I need that! Although, I'd be scared to see what it would reveal! oh my goodness! What an amazing product! Will have to check it out! Wow, I need to try this immediately!!!! Thanks for the tips!!! That mirror looks so cool!! Whoaaaa, what!! This is so cool. Thanks for introducing me to this! 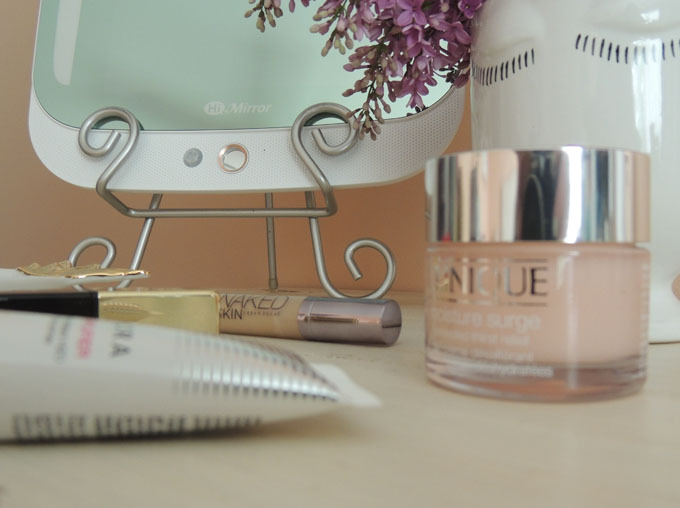 How cool is that mirror, totally changes the makeup application game! Omg this sounds so great! I would love to have this! Good products are skin or good skin. Good products makes your skin healthy and more glowing. It is important to choose correct products for your skin. We all want good products for our skin. It is because to look gorgeous and beautiful. And these products seems good. I'll love to try try these all. We all faces aging problem in our life. Sun is the main reason behind this. Sun rays damage our skin. And that makes our skin dull and dark. Use lifecell skin care, this cream will helps to avoid aging signs too. Wow, I've never heard of or seen that! Such a cool product! What a neat idea! I'm also obsessed with that vase you have! In recent years several motorized cleansing brushes have appeared on the market with promises of a deeper cleaning and more radiant skin. Quite an informative topic. Surely gonna buy this. Informative post. It is very important to take care of your skin.However, many women fail to realize their dreams as they are so caught up with their work and daily commitments that they fail to pay any attention to their body and skin.